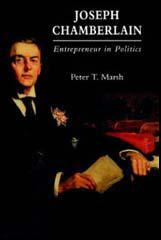 Joseph Chamberlain, the son of a shopkeeper, was born in London 1836. After being educated at University College School he became a successful businessman in Birmingham. A member of the Liberal Party he became involved in local politics and in 1868 was elected as a town councillor. Chamberlain became mayor in 1873 and for the next three years introduced a series of social reforms. The council's acquisition of land and public utilities and the pioneering slum-clearance schemes, made Chamberlain a national political figure. Chamberlain was extremely popular in Birmingham, and was elected unopposed in a parliamentary election held in 1876. Chamberlain soon made his mark in the House of Commons and after the 1880 General Election, William Gladstone appointed Chamberlain as President of the Board of Trade. Beatrice Webb fell in love with Chamberlain during this period: "In 1882 came the catastrophe of my life. At a London dinner-party I met Joseph Chamberlain. I was ripe for love, revelling in newly acquired health and freedom, my intelligence wide awake, my heart unclaimed. He had energy and personal magnetism. But my intellect not only remained free but positively hostile to his influence." She described a speech he made two years later: "As he rose slowly and stood silently before his people, his whole face and form seemed transformed. The crowd became wild with enthusiasm. At the first sound of his voice they became as one man. Into the tones of his voice he threw the warmth and feeling which were lacking in his words, and every thought, every feeling, the slightest intonation or irony and contempt was reflected in the face of the crowd. It might have been a woman listening to the words of her lover." In 1885 General Election Chamberlain was seen as the leader of the Radicals with his calls for land reform, housing reform and higher taxes on the rich. However, he was also a strong supporter of Imperialism, and resigned from Gladstone's cabinet over the issue of Irish Home Rule. This action helped to bring down the Liberal government. Chamberlain now became leader of the Liberal Unionists and in 1886 he formed an alliance with the Conservative Party. As a result, Marquess of Salisbury, gave him the post of Colonial Secretary in his government. Chamberlain was therefore primarily responsible for British policy during the Boer War. In September 1903, Joseph Chamberlain resigned from office so that he would be free to advocate his scheme of tariff reform. Chamberlain wanted to transform the British Empire into a united trading block. According to Chamberlain, preferential treatment should be given to colonial imports and British companies producing goods for the home market should be given protection from cheap foreign goods. The issue split the Conservative Party and in the 1906 General Election the Liberal Party, who supported free trade, had a landslide victory. Chamberlain was struck down by a stroke in 1906 and took no further part in politics. 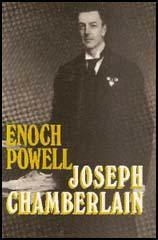 Joseph Chamberlain, whose son Neville Chamberlain also became a leading figure in politics, died in 1914. In 1882 came the catastrophe of my life. At a London dinner-party I met Joseph Chamberlain. I was ripe for love, revelling in newly acquired health and freedom, my intelligence wide awake, my heart unclaimed. He had energy and personal magnetism. But my intellect not only remained free but positively hostile to his influence. I met Sidney (Webb) one day early in January 1890; from the first meeting I realised that he would fall in love with me. his energy, his ingenuity, his faith in intellectual principles, his desire for reform and capacity for absorbing knowledge, made him at once my comrade. His lack of social position, even his lack of personal attractiveness gave him in his relation to me, the odd charm of being in every respect the exact contrary to Chamberlain and my ill-fated emotion for that great personage. As he rose slowly and stood silently before his people, his whole face and form seemed transformed. The crowd became wild with enthusiasm. At the first sound of his voice they became as one man. Into the tones of his voice he threw the warmth and feeling which were lacking in his words, and every thought, every feeling, the slightest intonation or irony and contempt was reflected in the face of the crowd. It might have been a woman listening to the words of her lover.